This article provides answers for InVision Cloud V7. Not sure which version you're using? Find out. Welcome to the Early Access program for InVision Cloud V7. Using Cloud V7, you can collaborate on designs with your entire company—all from one place. User Roles: New user roles let you provide the right level of visibility to the right people. In Cloud V7, we’re introducing two new roles: members and guests. Note: Enterprise contributor and reviewer roles have been retired in Cloud V7. Document Permissions: New document permissions allow you to control who can access your documents. Within the share dialogue, you’ll notice a settings screen for each document. Here you determine who can open the document and which actions they can take. Spaces: Spaces make it possible to organize all of your project-related documents (prototypes, boards, and freehands) into one space. Spaces are public to all team members by default but can be made invite-only within your share settings. Up to 8x faster: Cloud V7’s entirely new architecture ensures lightning-fast responsiveness and reliability at scale. For a detailed overview of what’s new, watch a demo of Cloud V7. This release represents an initial set of capabilities that we’ll be constantly adding to, so please let us know what works well, what doesn’t, and any ideas you may have on how to improve the overall experience. Initial transition: As part of your Enterprise team’s transition to Cloud V7, we will move all of your members, company settings, and project data. Data created in Cloud V7 is not backward compatible: After the transition, all of your Cloud V6 projects will be accessible on the new Cloud V7 platform. If necessary, we are able to move your team back to Cloud V6, but please note that any new work created in Cloud V7 cannot be moved back to Cloud V6. Access to projects: All of the prototypes, boards, and freehands your team created will be brought over to Cloud V7. However, no user will have default access to all documents created in a team. Account admins and managers who could preview and join all company projects will need to add themselves to the documents they care about prior to the transition. Updated Studio and Craft: For the best experience, please update Studio and Craft to their latest respective versions prior to the transition. Planned downtime: The transition will require planned downtime which should be under 2 hours and will be run during off-business hours in your local timezone (approximately 8pm–6am). We’re constantly evaluating how to improve our Cloud V7 experience, so if you have any feedback, send the Cloud V7 Product team a note at [email protected]. This section provides information about how to setup and use Cloud V7. For a walkthrough of how to configure and create your first projects in Cloud V7, check out the Cloud V7 Getting Started Guide. Once you receive an email confirmation that the transition to Cloud V7 is complete, you and your team members can access your new Cloud V7 team account. Note: Be sure to go to this new URL. If you navigate to projects.invisionapp.com, you will not be able to access Cloud V7. Sign into your Enterprise account with your same account credentials. 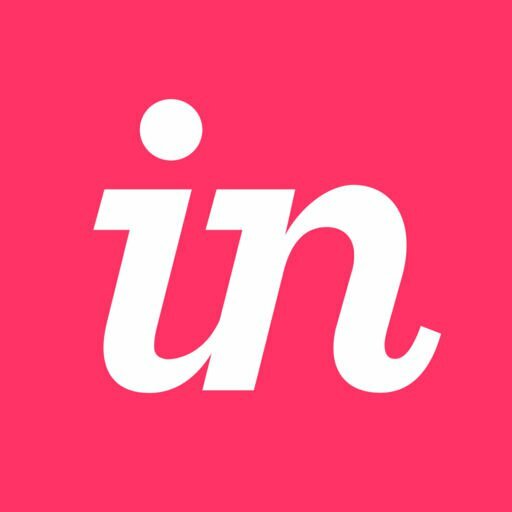 To access your personal account associated with your work email address, you can sign in via projects.invisionapp.com with your same account credentials. Once you are moved to Cloud V7, please ensure your team signs in to Craft Manager, Craft tools, and the InVision mobile app(s) with your team’s enterprise subdomain. In the top navigation bar, click Team. Click the Settings tab, and then click Team sharing settings. Uncheck the toggle and click Update. If you’re an admin or manager who is actively collaborating on a document, be sure that the document owner has personally invited you to the document (as admins and managers no longer see all documents by default). Public share links that were sent out on Cloud V6 will no longer work. If you’d like viewers to maintain free access to viewing a doc, we recommend sharing a new Cloud V7 public share link. See the section "Creating Public Links" in this Cloud V7 article: InVision Cloud V7: How do I share a document? If you’d like to share any feedback or report any issues with Cloud V7, please email our product team directly at [email protected]. Our team will work directly with you to ensure you have a smooth experience going forward, and your feedback will help us shape the future of the new Cloud V7 platform. Our goal is to always provide the best experience and to provide the highest level of support possible. If you are not happy with your experience on Cloud V7 and would like to switch back to Cloud V6, shoot us an email at [email protected] and our team will be there to assist you. Keep in mind that any new data created by your team in Cloud V7 cannot be brought back to Cloud V6, so make sure to save any work you created in Cloud V7 separately. Please allow 12 hours after receiving your request for the switch back to Cloud V6 to complete. Once the switch has begun processing, you’ll experience about 5 minutes of downtime.